Former contest winner Brendan Shannon-Thomas will be battling it out in Come Dine With Me’s ‘Champion of Champions’ final tonight at 5pm on Channel 4. 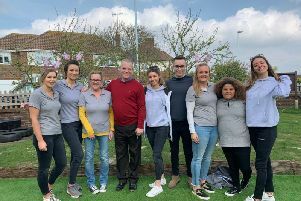 The series special will feature the Worthing resident in the tournament finale that brought together 12 of the most stand-out finalists over the last ten years. Brendan took part in Monday’s semi-final where he came out triumphant. For the first time, the show’s quick-witted narrator Dave Lamb stood in front of the camera and has been critiquing contestant’s meals along with Michelin star chef Glynn Parnell.